What To Expect At Your First Chiropractor Visit? http://www.aaronrichardet.com/wp-content/uploads/2017/04/arblog-logo.png 0 0 Aaron Richardet http://www.aaronrichardet.com/wp-content/uploads/2017/04/arblog-logo.png Aaron Richardet2017-07-10 05:20:212017-07-10 05:20:21What To Expect At Your First Chiropractor Visit? 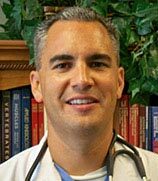 Dr. Aaron Richardet has been freeing people from pain since 2000 in his clinic in Wilmington, North Carolina. © Copyright - Aaron Richardet Blog.